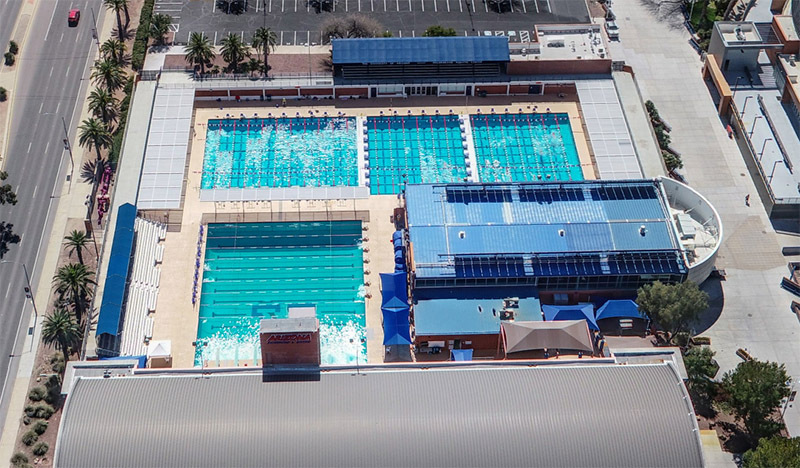 The Hillenbrand Aquatic Center Swimming Pool, Pump/Filtration Room and Chemical Room is due for a life cycle replacement. The pools structural integrity is severely degraded and the mechanical filtration system is corroded and unsafe. The new pool will not only be significantly longer (70m) but will have state-of-the-art technology for practicing and for competition. The pool will also accommodate multiple bulkheads. The Old Dive Pool will be demolished to create the space needed for the longer pool.